Dave Anglin is a IATSE local 600 camera operator who works in feature films, commercials and television with award-winning filmmakers including Gus Van Sant, Taylor Sheridan, Antoine Fuqua, Greta Gerwig and many others. 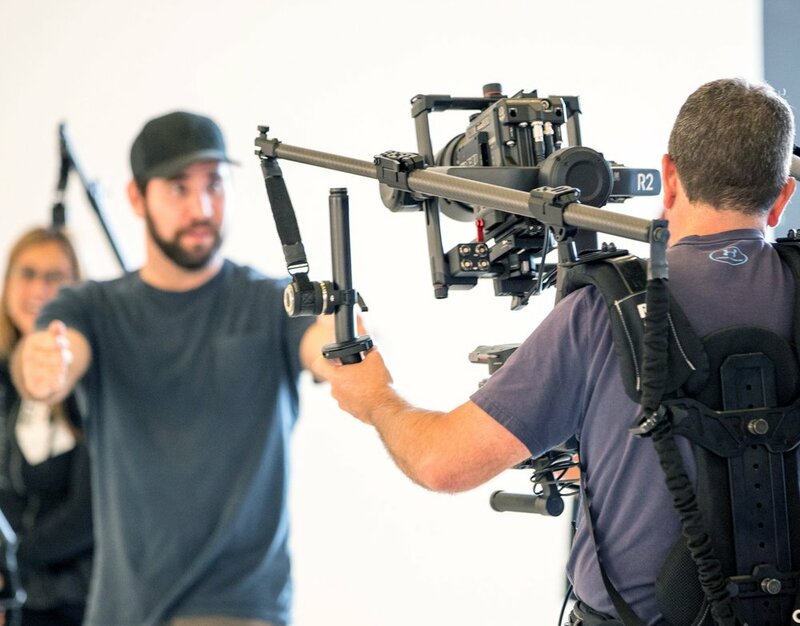 Dave’s extensive knowledge of gimbals and how to implement them on set has made him one of the most sought after gimbal operators in the industry. Dave and his team have designed this class with DJI in order to give Ronin 2 operators and techs inside tips, tricks, and real world applications from Dave's career. This class has been created with the modern film set in mind. If you are trying to figure out how to use this amazing tool on your upcoming project, if you are currently transitioning into gimbal operating, or if you just want to figure out how to use your new Ronin 2 to its fullest potential then this class is for you. Dave goes extensively through building a balanced rig, proper footwork, single operating, dual operating, working with DJI Master Wheels, enhancing your operating with the Ready Rig, mounting on a vertical isolators, a Miniscope crane, and so much more. When you finish this class you should have all of the knowledge you need to properly use the Ronin 2 on your next shoot. Our partners are offering some amazing discounts to our students as well. They know the value of investing in well trained professionals and getting their gear in the hands of individuals that take pride in their craft. With the R2 Pro Class being offered at $750 many of the discounts below make the class a net positive. One of the following: 10% Off a Ronin 2 ($820 Value), 10% off of the DJI Master Wheels ($950 Value), or 15% off of any two Ronin 2 accessories. Small classes of 8-10 students ensure maximum time with Dave and DJI techs. This also helps us make sure that every question is answered. Students are paired off in the beginning of class and will work together through the entire build. So sign up with a friend! We supply each class with industry standard gear to ensure the most professional experience. Our partners include DJI, Ready Rig, Chapman/Leonard, Teradek, RED, Small HD, Bright Tangerine, Sigma, and Inovativ Carts.